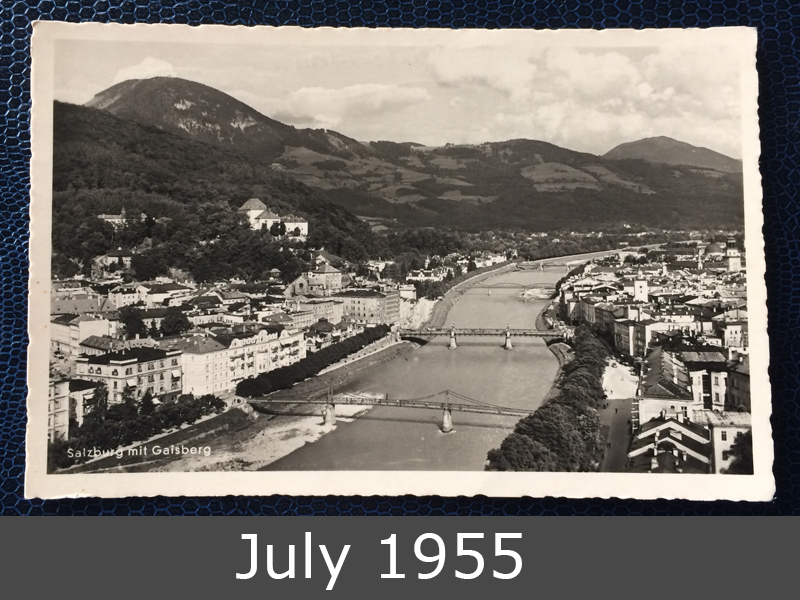 Salzburg is one of the most romantic cities in Europe. Located in the north of Austria, Salzburg is famous for the baroque old town and the beautiful Christkindl-Markt in December. 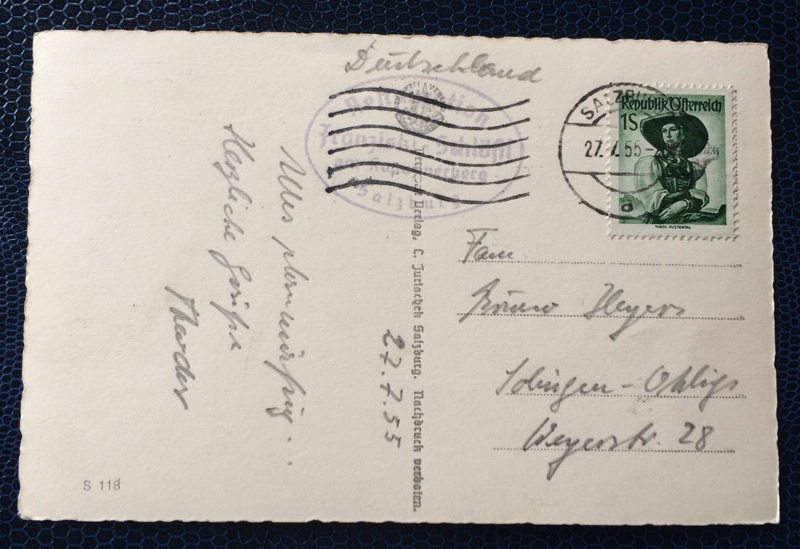 This postcard was sent in July 1955 to Germany.